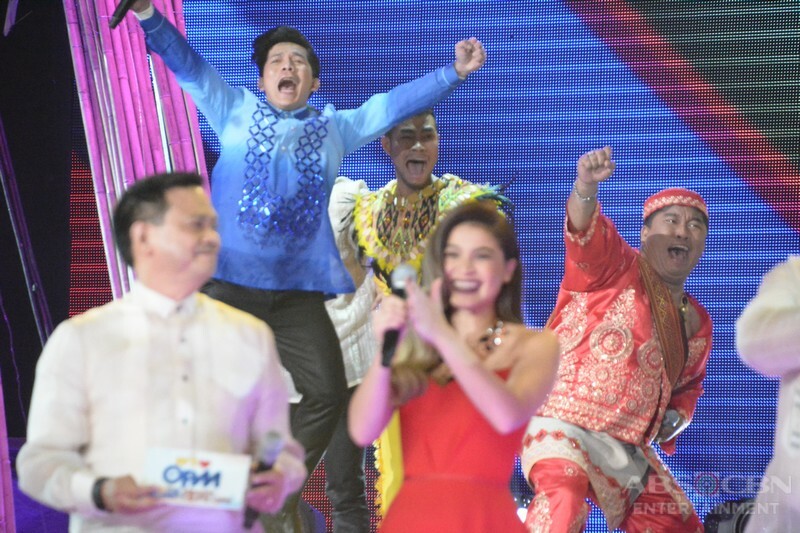 MANILA, Philippines - The first-ever grand winner (celebriteam) of ABS-CBN's reality music competition 'We Love OPM' was named in the Grand Sing-offs on Sunday, July 17 at the Resorts World Manila in Pasay City. Tres Kantos won 'We Love OPM'! (Top row) Jovit Baldivino, Bugoy Drilon and Dominador Aviola. Photo Credit: ABS-CBN Entertainment. 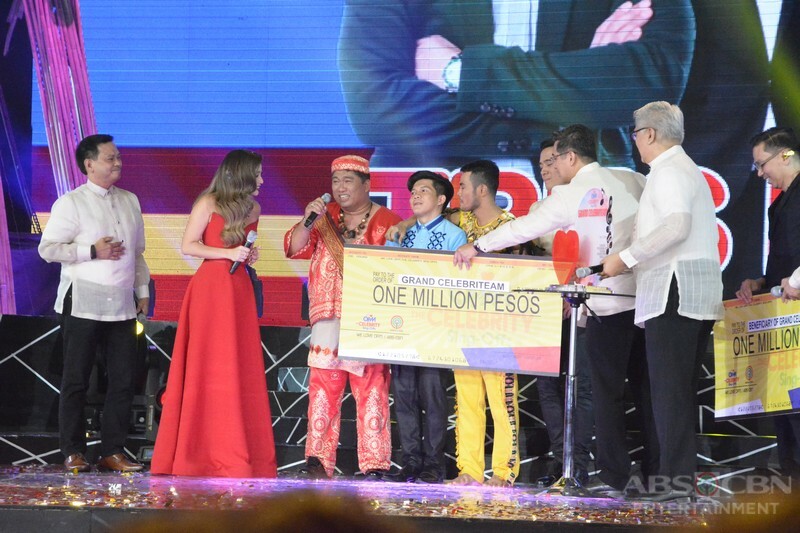 Tres Kantos, the trio mentored by singer Erik Santos won the grand prize of P 2 million peso cash prize ( one million each for the celebriteam and chosen charitable institution). The group received combined votes of 80.45-percent from text and online. O Diva who were supervised by "The X-Factor Philippines" champion KZ Tandingan and Oh My Girls mentored by 'Pinoy Dream Academy' winner Yeng Constantino got 57.78 percent and 58.27 percent of votes, respectively. The grand finals featured some of the popular songs of the popular musician and composer Ryan Cayabyab. Tres Kantos composed of Bugoy Drilon, Jovit Baldivino and former "Tawag ng Tanghalan" contestant Dominador Aviola performed "Nais Ko." "Nakakabaliw...sobrang ganda! I was very surprised!," Cayabyab told them. Oh My Girls composed of young singers Ylona Garcia, Krissha Viaje and Alexa Ilacad sang "Kailan" with a fairytale concept. "Ang hirap kumanta ng hindi gumagalaw...pero you did it," mentor Jay R told the girls. O Divas Emmanuelle Vera, Liezel Garcia and Klarisse de Guzman proved to be the best among the celebriteams as they performed "Limang Dipang Tao." "Ever since talaga, excellent ang grupong ito eh," mentor Nyoy Volante told the group. On Saturday's semi-finals round, Tres Kantos automatically advanced to the finals after getting 97-percent combined score from the judges and the audience. Oh My Girls moved to the last round after being voted in by viewers. They received 43.3 percent of total text and online votes. O Diva have secured the finals spot a week before the semis. The spin-off of the successful "I Love OPM" to give tribute to the OPM icons has started on May 14. The show is hosted by Anne Curtis and Eric Nicolas. Do you agree with the results of 'We Love OPM' Grand Sing-offs? Tell us in the comment section below.